Help your business clients keep track of business income and expenses by surprising them with this convenient record book. Contains plenty of room for reporting income, expenses, wages paid (reflects one employee per page), sales and purchases of equipment and more. 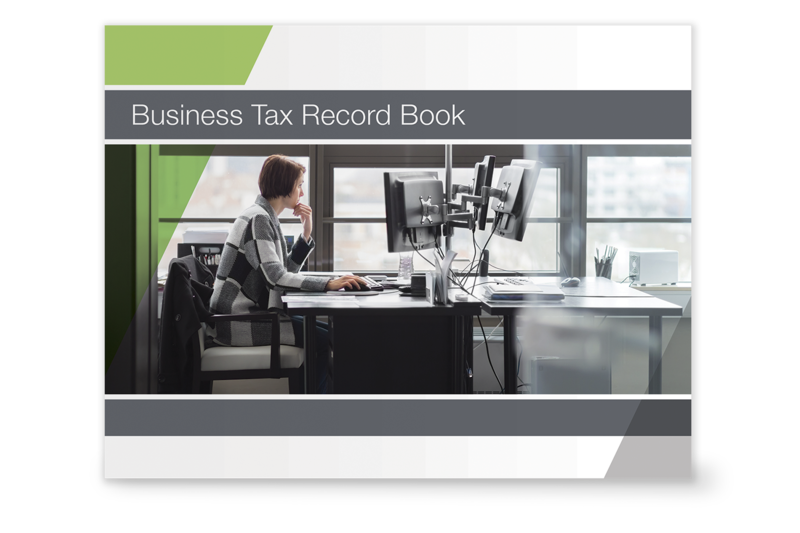 The Business Tax Record Book, Is great my clients was so happy to get this book. I'm ordering more. This is a great tool for small businesses and for businesses just starting out to give them a template how to keep track of their income and expenses. I have distributed many of these Business Tax Record Books. My clients love them.